Actually, this post is by popular demand 🙂 This is the 2016 version of the post a wrote when SHarePoint 2013 was new, as you can see, not much has changed…I have updated a few lines with what I know now that I did not know then, thats it. Please let me know if I missed something. The recommended approach is to create a GPO with these firewall rules and apply that rule to the SharePoint servers in your farm. Add all of them, best that way to avoid extreme t-shooting in the future. Another but related recommendation is to configure the Loopback check funktion in Windows server to allow the FQDN’s of your web applications (Use the Loopback check tool). 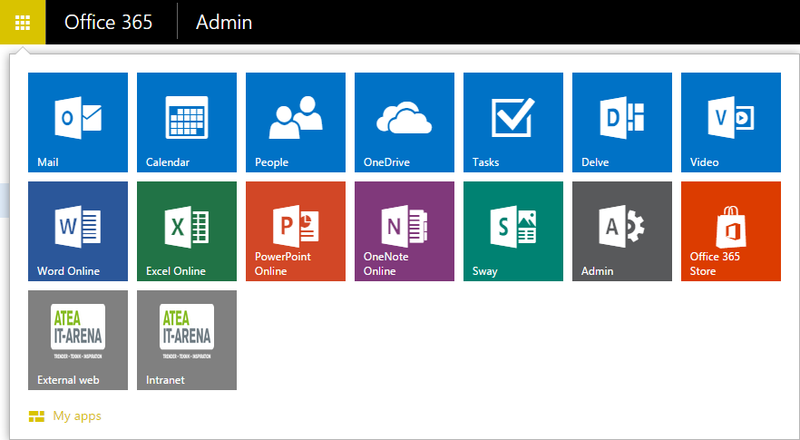 List of ports used by SharePoint 2013 and its related services. Reference links at the end. TCP 809 Office Online Server/Office Web Apps Office Online Server/Office Web Apps intra-farm communication. 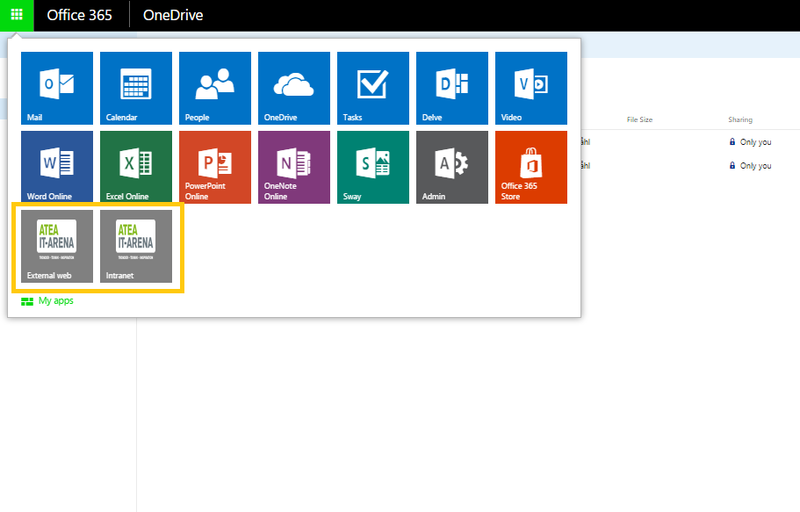 Short story: The OneDrive for Business improvements are here! The file was in addition, uploaded using the new OneDrive sync client! The OneDrive for Business Next Generation Sync Client is available for Windows 7, 8 and 10 (8.1 support will be added in the first quarter of 2016) and Mac OS X 10.9 and above. In the interim, if customers require sync for both OneDrive for Business and SharePoint document libraries, the Next Generation Sync Client is designed to work side-by-side with the existing sync client. As I have posted about before, during the end of 2014, beginning of 2015, a new security feature in SharePoint Online has been rolled out. The feature in itself is a great security feature if that is what you want. Note: changes to this setting might take up to 24 hours to take effect. 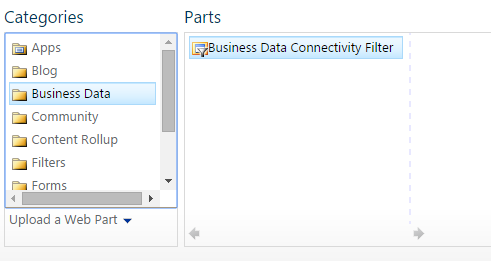 Below is the list of webparts that you will not find with the Custom script setting off/disabled. The complete list of settings affected and webparts missing: Save Site as Template, Save document library as template, Solution Gallery, Web Designer Galleries, Theme Gallery, Help Settings, Sandbox solutions, the Blog Archives, Blog Notifications, Blog tools Blog Webparts, the Business Data Actions, Business Data Item, Business Data Item Builder, Business Data List, Business Data Related List, Excel Web Access, Indicator Details, Status List, Visio Web Access Business Data Webparts, the About This Community, Join, My Membership, Tools, What’s Happening Community Webarts, the Categories, Project Summary, Relevant Documents, RSS Viewer, Site Aggregator, Sites in Category, Term Property, Timeline, WSRP Viewer, XML Viewer Content Rollup Webparts, the Document Set Contents, Document Set Properties Document Sets Webparts, the HTML Form Webpart, the Content Editor, Script Editor, Silverlight Webpart Media and Content Webparts, the Refinement, Search Box, Search Navigation, Search Results Search Webparts, the Catalog-Item Reuse Search-Driven Content Webparts and the Contact Details, Note Board, Organization Browser, Site Feed, Tag Cloud, User Tasks Social Collaboration Webparts. Add shortcuts straight to your external website, to your portal, your teamsite of choice or project-web portal, now all in the Office 365 admin GUI, no hazzle. 2. In the top left corner, click on your organization name link. 3. 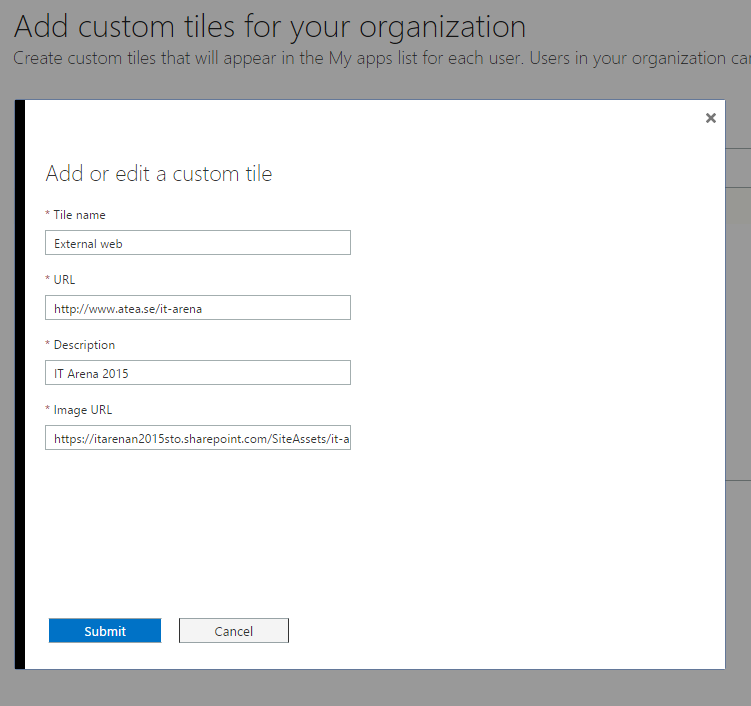 Next, select option no.3 – Custom tiles. 5. Repeat until you have your tiles. 6. Allow some delay for timer jobs to run, things to happen in the background, this may take a while. 7. Go to your App launcher, My Apps. 8. 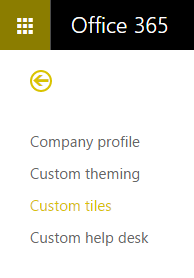 Your custom tiles will be located at the bottom of the list. 9. Click on the ‘dots’ and select ‘Pin to launcher’ – this will make them show up in your personal App Launcher. Only me this time…I actually found this one out all by myself! Never seen it in the Office blogs, never looked for it either. My team, my collegues and all of you!! On the 24th of august, Microsoft released a preview of the next generation of SharePoint onprem, SharePoint Server 2016. Last I Heard, the release is due sometime Q1 – Q2 of 2015. ‘SharePoint Server 2016 IT Preview has been designed, developed, and tested with the Microsoft Software as a Service (SaaS) strategy at its’ core. Drawing extensively from that experience, SharePoint Server 2016 IT Preview is designed to help you achieve new levels of reliability and performance, delivering features and capabilities that simplify administration, protect communications and information, and empower users while meeting their demands for greater business mobility. You can choose from a traditional on-premises deployment, a hosted service with Microsoft Office 365 sites powered by Microsoft SharePoint Online, deployment in Azure Infrastructure as a Service (IaaS), or a mix of these options with a hybrid approach, enabling you to enrich traditional on-premises scenarios with the innovation in the cloud.